The former FBI director James Comey will testify in open Senate hearings as early as next week “to confirm bombshell accusations that President Donald Trump pressured him to end his investigation into a top Trump aide's ties to Russia,” CNN reports Wednesday. "The bottom line is he's going to testify," a source told CNN. "He's happy to testify, and he's happy to cooperate." 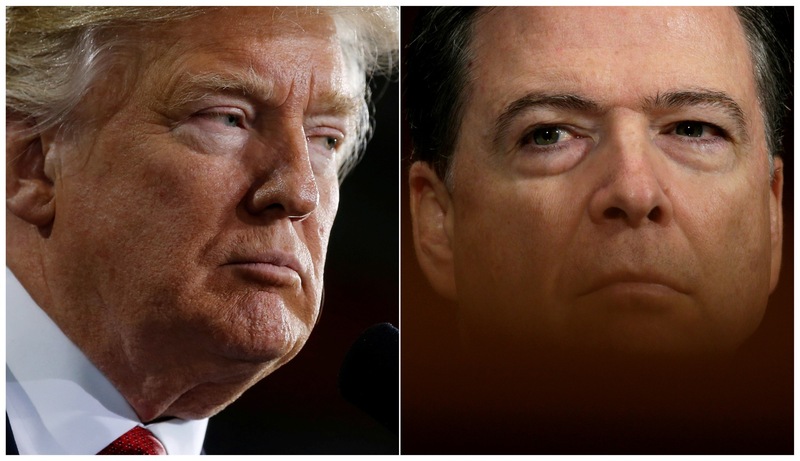 When he testifies, Comey is unlikely to be willing to discuss in any detail the FBI's investigation into the charges of possible collusion between Russia and the Trump campaign -- the centerpiece of the probe, this source said. But he appears eager to discuss his tense interactions with Trump before his firing, which have now spurred allegations that the president may have tried to obstruct the investigation. If it happens, Comey's public testimony promises to be a dramatic chapter in the months-long controversy, and it will likely bring even more intense scrutiny to an investigation that Trump has repeatedly denounced as a "witch hunt."